J&G Steakhouse offers a sophisticated collection of steakhouse classics as interpreted by Michelin starred chef, Jean-Georges Vongerichten. Located atop the world famous Phoenician Resort, the restaurant is draped in a rich palate of purple and gold with a modern, stylish flair. 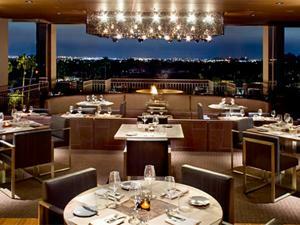 Diners will enjoy dramatic sunsets and views of the Valley while dining on premium meats and a global selection of fish. The bill of fare is complimented by fresh, local ingredients and worldly spices and is masterfully executed by Chef de Cuisine Jacques Qualin.